The very first Daniel F. Johnson Scholarship in History at UNBSJ will be awarded in the fall of 2015. It will be in the amount of $800 and has arrived a full year earlier than expected. This is because of the exceptional earnings on the Fund in 2014 by the Greater Saint John Community Foundation. The University will make the selection of the successful student who, upon completion of the academic year in the spring of 2016 will have the award credited to her, or his, account with the University. The Province of New Brunswick has a policy whereby scholarships and bursaries are enhanced by 50% so the actual amount will be $1,200. As of May 12, 2015 the amount raised to date is $35,635. We are getting closer to the target of $50.000! 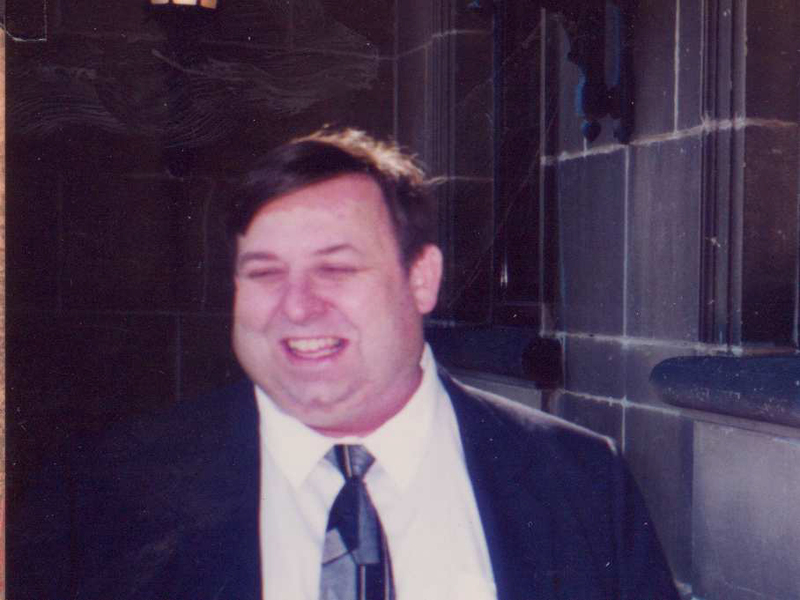 Almost a decade has passed since the untimely death of our friend and colleague, Dan Johnson. During that time various steps have been explored by the Saint John Branch of NBGS to memorialize his life and his contributions to history and genealogy in New Brunswick, finally settling on the objective of endowing two scholarships in history at the Saint John Campus of the University of New Brunswick. The Branch is fortunate to have three eminent persons serving as Patrons of the Campaign and their support is appreciated. David A. Ganong, O.C., BBA, MBA, is well known as the president of Ganong Brothers, Ltd. Mr. Ganong has also served in many non-profit functions Chair of the UNB Board of Governors and chair of the NB Business Council. For this, and his outstanding business and community contributions he was granted an honorary degree from UNB in May 2012. Marion Beyea was the Director of the Provincial Archives of New Brunswick from 1978 until her recent retirement. She has served as founding president of the Canadian Council of Archives, president of the Association of Canadian Archivists, and New Brunswick’s representative on the Historical Sites and Monuments Board of Canada. Currently she is Chair of the Committee on Best Practices and Standards of the International Council of Archives. Dr. Gregory Marquis, BA, MA, PhD, is professor of history at the Saint John campus of UNB. He taught at several Canadian universities before moving to UNBSJ in 1999 to teach Canadian and criminal justice history. Professor Marquis is on the editorial board of Acadiensis and the Social History of Alcohol and Drugs. He has also been active with several community organizations. The endorsement of this campaign by these three eminent persons is appreciated. Funding the scholarships in perpetuity will require a capital sum of about $50,000. To raise this amount the Branch is calling for support from all the members of the New Brunswick Genealogical Society as well as all the users of Dan’s Vital Statistics from New Brunswick Newspapers. All donations, regardless of size, are welcome - every dollar raised will put us closer to our goal. However, it is hoped that each donor will commit or pledge an amount yearly for four years. The fund-raising commenced in 2012 and continues for the subsequent four years. Donors will be given a receipt which, in Canada, will be deductible from taxable income. All donations received are turned over to the Greater Saint John Community Foundation and administered by that organization. The Foundation was established over 35 years ago as a way for people to fund certain worthy causes. The Foundation currently administers 13 different scholarship and bursary funds and has over $9 million of assets under administration. The roles of the Saint John Branch of the New Brunswick Genealogical Society are (1) to raise the capital sum and (2) to monitor the number and amounts of each scholarship. The capital sum can never revert to the Branch. As of mid-January 2015 the Campaign has already raised over $27,000, putting us more than halfway to our goal. Following Dan’s death through the co-operation of Dan’s mother, Fay Johnson and Dan’s sister Celia and brother Mark, and with the assistance of the Friends of the Archives, as well as Marion Beyea, all of Dan’s Vital Stats were made available, free, on-line from the Provincial Archives of New Brunswick. It is an unique resource and to Dan we owe a debt of gratitude for devoting twenty years (1985 - 2005) of his life to producing this outstanding historical and genealogical resource. In addition to Vital Stats Dan also produced a vast quantity of genealogical and historic materials, which are listed in the bibliography below. Danny's work on his own family history and the knowledge and skills he gained as he did his research led to a broader involvement in genealogy and he began to assist with the searches of others. He taught one of the first organized courses in genealogy in Saint John in 1979. Along with a number of his students from that course, and others, Danny was instrumental in founding the New Brunswick Genealogy Society. He served as president of the Saint John Branch of the New Brunswick Genealogical Society and as vice-president of the provincial body. He was also one of the first people to obtain certification through the Genealogical Institute of the Maritimes. He remained supportive of the Institute's goal of achieving high standards of professionalism in genealogy. 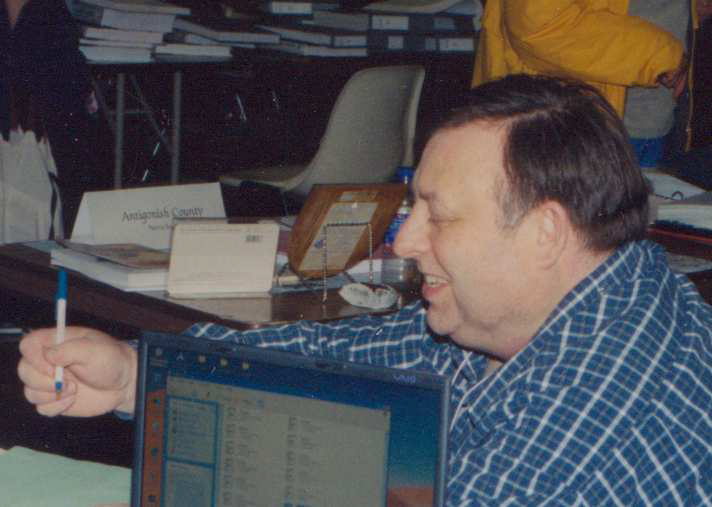 A frequent presenter at genealogical workshops and conferences, he also transcribed cemetery records, provided a genealogical research service for those who could not get to New Brunswick sources and advised and helped genealogists from across Canada and around the world, always generously, finding satisfaction in their successes. Danny was quick to embrace the computer as a tool for genealogy. He quietly and competently became one of the pre-eminent leaders in New Brunswick genealogy as genealogy became his passion and his full time occupation. New Brunswick census of 1851 for Victoria County. Perth-Andover: D.F. Johnston, 1979. New Brunswick Vital Statistics From Newspapers Volumes 1-5. New Brunswick Genealogical Society. Fredericton. (chairman of committee) 1982-1984. Vital Statistics From New Brunswick Newspapers Volumes 6-102. Saint John, NB: D.F. Johnson, 1985-2005. Saint John County and Work House Records, 1843-1850. Saint John, NB: D.F. Johnson, 1985. New Brunswick Lineages - The Ancestral Charts of over 250 researchers who trace their lineage to New Brunswick, Canada. Saint John: Daniel Johnston, 1988. The New Brunswick Genealogist – Volumes 1& 2. Saint John: Daniel F. Johnson, 1988. Cedar Hill Extension Cemetery: Saint John, N.B., Canada. Saint John: D.F. Johnston, 1989. Genealogist’s Handbook For Atlantic Canada Research. (Chapter on New Brunswick) ed. Terrence M. Punch. New England Historic Genealogical Society, Boston. 1989. The Writings of W. O. Raymond – The New Brunswick Historical Journal – Spring, Summer, and Fall editions, 1991. Saint John, NB. 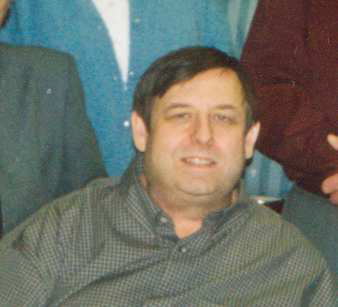 Daniel F. Johnson, 1991. The Ganong Family of New Brunswick – The Ancestor and Descendants of Thomas & Joanna (Barlow). Saint John, NB. by William Francis Ganong with additions by Daniel F. Johnson, 1997. The Case Family of New Brunswick – The Descendants of Elisha Case & Waite (Hopkins). Saint John, NB. by Dr. Erastus Case with additions by Daniel F. Johnson, 1997. Irish Emigration Through the Port of Saint John, New Brunswick, Canada, 1841 to 1849. Saint John: Clearfield, 1998. The Sherwood Family of New Brunswick – The Descendants of Andrew Sherwood & Martha (Curry). Saint John, NB. Daniel F. Johnson, 1999. “Miscellaneous Passenger Lists to New Brunswick.” Generations 7 (February 1981): 36– 37. “Murder of Captain Clayton Tilton.” Generations 10 (December 1981): 28 - 30. “St. Simon & St. Jude Anglican Church Cemetery, Belleisle Creek.” Generations 41 (September 1989): 39 -47. “Was Brigham Young a Descendant of New Brunswick U.E. Loyalist?” Generations 42 (December 1989): 2 - 5. “Grandmothers of Kings County.” Generations 22.4 (Winter 2000): 13 - 18. “Masters & Mates 1871-1893.” Generations 25.4 (Winter 2003): 2 - 6. “Masters & Mates 1871-1893.” Generations 25.2 (Summer 2003): 2 - 6. “Masters & Mates 1871-1893.” Generations 25.1 (Spring 2003): 2 - 6. Please remind me in ________ (any month of your preference) in 2015, 2016 and 2017 that I want to support this campaign each year of operation. Acknowledgment of receipt of your donation will be mailed promptly. Formal tax-deductible receipts will be issued later in the year.